Padparadshah is one of the rarest and most-prized fancy colored corundums in the world. Padparadshah is basically an orangish pink colored sapphire (corundum). This rare color of the padparadshah sapphire is both from iron and chromium impurities. Lab Created Padparadshah Gems are available at Andegem.com on a per order basis only. 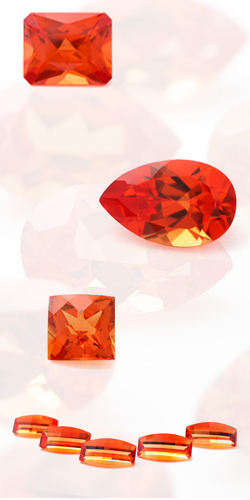 To inquire about pricing, shipping rates or any other information you need about Lab Created Padparadshah please email us at sales@andegem.com .